Reliance Net Balance Check: Hi, guys are you searching for the reliance internet balance checking procedures? Don’t you know how to check the internet balance in reliance? Do you want to know the reliance data usage history? Then follow this article. Here we are providing the easy ways to check the reliance data balance and you can able to know more about the USSD codes details and benefits. We know that reliance is the fourth best telecom service provider in India. It was founded by Anil Ambani on 2002, being a part of reliance industries it has more than 109millions subscriber around the India. It offers the mobile services like GSM (voice, 2G, 3G, and 4G), CDMA, fixed voice landline services, broadband, and DTH services. What Is An USSD Code? USSD stands for ‘Unstructured Supplementary Service Data’ and it is a protocol used to establish the connection between the subscriber and service provider’s computer. Usually, these codes are used to know the basic information and small services like balance inquiry, latest offers for voice, data, and SMS, for activation/deactivation of some services, value added services, caller tunes, prepaid, postpaid, blackberry services, and much more. Reliance net balance checking procedure for all types of networks is described in different ways as shown below. Nowadays so many members using the internet with insufficient knowledge, so some of them don’t know how to check the remaining data balance or some of them ignore the limitations of the data then it leads to cut off the main balance. To avoid these types of problems we provided the detailed view on the reliance data balance checking procedure as you can see below. How to check data balance in reliance network using USSD codes? 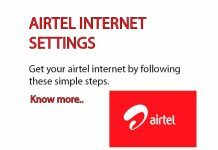 Here you can follow the steps provided below and it is the common procedure for 2G/ 3G/ 4G services. Choose a mobile with the clear display having reliance network. Submit the request by dialing it and wait for a response. After some time a popup message will be displayed on your mobile screen. Here in the message, you can see the remaining data balance and validity of it. If it is not working then just slow down the steps and initially dial *111# and then reply the response codes 1& 3 respectively. How to check net balance in reliance network with an SMS? It is an easy way to check the remaining data balance in your reliance network. Just follow the guided steps as shown below. 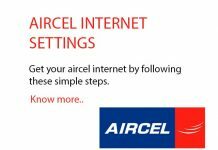 Step A: Take a reliance network mobile and open the new text message. Step D: After some time you will receive a reply message from the service provider’s computer. Here the message contains remaining data balance of the reliance network and you can also check the reliance data balance in online. Here you can follow the below steps for the online procedure and it is useful for the prepaid users. Click on the prepaid tab and then enter your phone number on prescribed column. Now you can see the previous data usage history and you can see the remaining main, data and SMS balances. We also provided the reliance USSD codes as follows and they are useful in many ways. *367# or *333*1*1*1# or *306# – For checking the main balance in reliance. *333*1*3# or *367*3# – To check internet balance in reliance. *367*2# – For getting the SMS balance. *789# – For getting special offers. *1# – To know the reliance won number. *999# – For getting the caller tunes. *333*3*1*1# – For activating the caller tunes to your number. *333*3*1*2# – For deactivating the caller tunes to your reliance number. *333*3*2*1# – To activate miss call alerts for your mobile number. *333*3*2*2# – To deactivate miss call alerts for your mobile number. *222# – For getting self-menu to your reliance postpaid number. *333# – For getting self-menu to your reliance prepaid number. *123# or *321# – To know the service packs in reliance network. *368*<14-digit pin># – For getting recharge with the reliance scratch card. 58402 – For checking the balance validity. 198 – Reliance toll-free customer care number. MBAL to 55333 – To get the remaining data balance for reliance.